Commissioner of Service Tax Vs. Bhayana Builders (P.) Ltd.
A. K. Sikri And Ashok Bhushan, Jj. A.k. Sikri, J. – Delay condoned in Diary No. 42349 of 2016. 2. The respondents herein are engaged in the business of construction and, in the process, providing the services known as ‘Commercial or Industrial Construction Service’. 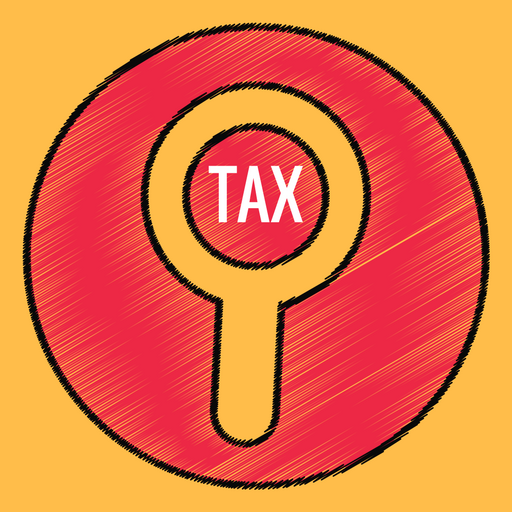 This service is exigible to service tax as per the provisions of Section 65(105) (zzq) of the Finance Act, 1994 (hereinafter referred to as the ‘Act’). The assessees accept that they are covered thereby and, therefore, are paying service tax as well. The dispute, however, is with regard to the valuation of taxable service provided by them. Under Section 67 of the Act deals with such a valuation. 3. It is a matter of common knowledge that for undertaking construction projects, the assessees not only render services, lot of materials/goods are also used in the construction of building or civil structure etc. For valuation of taxable services, the material/goods element has to be excluded. In order to make the things easier for the assessees as well as the Assessing Officers (AOs), the Government issued the Notification No. 15/2004-ST dated September 10, 2004 as per which service tax is to be calculated on the value which is equivalent to 33% of the gross amount charged from any person by such commercial concern for providing the taxable service. This notification was amended vide another Notification No. 4/2005-ST dated March 01, 2005 whereby an explanation was added to the original notification. This explanation mentions that the ‘gross amount charged’ shall include the value of goods and material supplied and provided or used by the provider of construction services for providing such service. It is made optional for the assessees to take advantage of the aforesaid notification and get the value calculated as per the aforesaid formula provided therein. The assessees have availed the benefit and paid the service tax @33% of the gross amount which they have charged from the persons for whom construction was carried out, i.e., the service recipients. It so happened that in all these cases where the construction projects were undertaken by the assessees, some of the goods/materials (particularly, steel and cement) were supplied or provided by the service recipients. As these materials were to be utilised in the projects meant for service recipients themselves, obviously, no costs thereof was charged from the assessees. The Department wants that value of such goods/materials even when supplied or provided free should be included, while calculating the “gross value” and 33% thereof be treated as value for the purpose of levying service tax. 4. The question, therefore, which has fallen for consideration is as to whether, the value of goods/material supplied or provided free of cost by a service recipient and used for providing the taxable service of construction or industrial complex, is to be included in computation of gross amount (charged by the service provider), for valuation of the taxable service, under Section 67 of the Act and for availing the benefits under Notification No. 15/2004-ST dated September 10, 2004 as amended by Notification No. 4/2005-ST dated March 01, 2005 (whereby an Explanation was added to Notification No. 15/2004-ST). 5. We may mention here that different benches of the Customs, Excise and Service Tax Appellate Tribunal (for short ‘CESTAT’) had given conflicting views on the aforesaid question and, therefore, the matter was referred to the Larger Bench which has, by impugned judgment dated September 6, 2013 rendered in a batch of matters, has decided the issue in favour of the assessees by holding that the value of the goods/materials cannot be added for the purpose of aforesaid notification dated September 10, 2004, as amended by notification dated March 01, 2005. It is the said judgment of the Larger Bench dated September 6, 2013, correctness whereof is the subject matter of present appeals. ’67. Valuation of taxable services for charging service tax.—For the purposes of this Chapter, the value of any taxable service shall be the gross amount charged by the service provider for such service provided or to be provided by him. Explanation 2.-Where the gross amount charged by a service provider is inclusive of service tax payable, the value of taxable service shall be such amount as with the addition of tax payable, is equal to the gross amount charged. Explanation 3.-For the removal of doubts, it is hereby declared that the gross amount charged for the taxable service shall include any amount received towards the taxable service before, during or after provision of such service. (iii) in a case where the provision of service is for a consideration which is not ascertainable, bet he amount as may be determined in the prescribed manner. Explanation.- For the purposes of this section. (a) Notification No. 12/2003-ST dated June 26, 2003 , issued by the Central Government, exercising powers under Section 93(1) of the Act exempted the value of goods and materials sold by a service provider to a recipient of service from the tax leviable thereon, subject to documentary proof specifically indicating the value of such goods and material. This notification was specified to come into force w.e.f. July 01, 2013. 11. As already pointed out in the beginning, all these assessees are covered by Section 65(25b) of the Act as they are rendering ‘construction or industrial construction service’, which is a taxable service as per the provisions of Section 65(105)(zzq) of the Act. The entire dispute relates to the valuation that has to be arrived at in respect of taxable services rendered by the assessees. More precisely, the issue is as to whether the value of goods/materials supplied or provided free of cost by a service recipient and used for providing the taxable service of construction or industrial complex, is to be included in computation of gross amount charged by the service provider, for valuation of taxable service. For valuation of taxable service, provision is made in Section 67 of the Act which enumerates that it would be ‘the gross amount charged by the service provider for such service provided or to be provided by him’. Whether the value of materials/goods supplied free of cost by the service recipient to the service provider/assessee is to be included to arrive at the ‘gross amount’, or not is the poser. On this aspect, there is no difference in amended Section 67 from unamended Section 67 of the Act and the parties were at ad idem to this extent. “a. Service tax is payable on the gross amount charged:- the words “gross amount” only refers to the entire contract value between the service provider and the service recipient. The word “gross” is only meant to indicate that it is the total amount charged without deduction of any expenses. Merely by use of the word “gross” the Department does not get any jurisdiction to go beyond the contract value to arrive at the value of taxable services. Further, by the use of the word “charged”, it is clear that the same refers to the amount billed by the service provider to the service receiver. Therefore, in terms of Section 67, unless an amount is charged by the service provider to the service recipient, it does not enter into the equation for determining the value on which service tax is payable. 13. A plain meaning of the expression ‘the gross amount charged by the service provider for such service provided or to be provided by him’ would lead to the obvious conclusion that the value of goods/material that is provided by the service recipient free of charge is not to be included while arriving at the ‘gross amount’ simply, because of the reason that no price is charged by the assessee/service provider from the service recipient in respect of such goods/materials. This further gets strengthened from the words ‘for such service provided or to be provided’ by the service provider/assessee. Again, obviously, in respect of the goods/materials supplied by the service recipient, no service is provided by the assessee/service provider. Explanation 3 to sub- section (1) of Section 67 removes any doubt by clarifying that the gross amount charged for the taxable service shall include the amount received towards the taxable service before, during or after provision of such service, implying thereby that where no amount is charged that has not to be included in respect of such materials/goods which are supplied by the service recipient, naturally, no amount is received by the service provider/assessee. Though, sub-section (4) of Section 67 states that the value shall be determined in such manner as may be prescribed, however, it is subject to the provisions of sub-sections (1), (2) and (3). Moreover, no such manner is prescribed which includes the value of free goods/material supplied by the service recipient for determination of the gross value. 15. It was argued that payment received in ‘any form’ and ‘any amount credited or debited, as the case may be…’ is to be included for the purposes of arriving at gross amount charges and is leviable to pay service tax. On that basis, it was sought to argue that the value of goods/materials supplied free is a form of payment and, therefore, should be added. We fail to understand the logic behind the aforesaid argument. A plain reading of Explanation (c) which makes the ‘gross amount charges’ inclusive of certain other payments would make it clear that the purpose is to include other modes of payments, in whatever form received; be it through cheque, credit card, deduction from account etc. It is in that hue, the provisions mentions that any form of payment by issue of credit notes or debit notes and book adjustment is also to be included. Therefore, the words ‘in any form of payment’ are by means of issue of credit notes or debit notes and book adjustment. With the supply of free goods/materials by the service recipient, no case is made out that any credit notes or debit notes were issued or any book adjustments were made. Likewise, the words, ‘any amount credited or debited, as the case may be’, to any account whether called ‘suspense account or by any other name, in the books of accounts of a person liable to pay service tax’ would not include the value of the goods supplied free as no amount was credited or debited in any account. In fact, this last portion is related to the debit or credit of the account of an associate enterprise and, therefore, takes care of those amounts which are received by the associated enterprise for the services rendered by the service provider. 16. In fact, the definition of “gross amount charged” given in Explanation (c) to Section 67 only provides for the modes of the payment or book adjustments by which the consideration can be discharged by the service recipient to the service provider. It does not expand the meaning of the term “gross amount charged” to enable the Department to ignore the contract value or the amount actually charged by the service provider to the service recipient for the service rendered. The fact that it is an inclusive definition and may not be exhaustive also does not lead to the conclusion that the contract value can be ignored and the value of free supply goods can be added over and above the contract value to arrive at the value of taxable services. The value of taxable services cannot be dependent on the value of goods supplied free of cost by the service recipient. The service recipient can use any quality of goods and the value of such goods can vary significantly. Such a value, has no bearing on the value of services provided by the service recipient. Thus, on first principle itself, a value which is not part of the contract between the service provider and the service recipient has no relevance in the determination of the value of taxable services provided by the service provider. 17. Faced with the aforesaid situation, the argument of the learned counsel for the Revenue was that in case the assessees did not want to include the value of goods/materials supplied free of cost by the service recipient, they were not entitled to the benefit of notification dated September 10, 2004 read with notification dated March 01, 2005. It was argued that since building construction contract is a composite contract of providing services as well as supply of goods, the said notifications were issued for the convenience of the assessees. According to the Revenue, the purpose was to bifurcate the component of goods and services into 67%:33% and to provide a ready formula for payment of service tax on 33% of the gross amount. It was submitted that this percentage of 33% attributing to service element was prescribed keeping in view that in the entire construction project, roughly 67% comprises the cost of material and 33% is the value of services. However, this figure of 67% was arrived at keeping in mind the totality of goods and materials that are used in a construction project. Therefore, it was incumbent upon the assessees to include the value of goods/material supplied free of cost by the service recipient as well otherwise it would create imbalance and disturb the analogy that is kept in mind while issuing the said notifications and in such a situation, the AO can deny the benefit of aforesaid notifications. This argument may look to be attractive in the first blush but on the reading of the notifications as a whole, to our mind, it is not a valid argument. 18. In the first instance, no material is produced before us to justify that aforesaid basis of the formula was adopted while issuing the notification. In the absence of any such material, it would be anybody’s guess as to what went in the mind of the Central Government in issuing these notifications and prescribing the service tax to be calculated on a value which is equivalent to 33% of the gross amount. Secondly, the language itself demolishes the argument of the learned counsel for the Revenue as it says ‘33% of the gross amount ‘charged’ from any person by such commercial concern for providing the said taxable service’. According to these notifications, service tax is to be calculated on a value which is 33% of the gross amount that is charged from the service recipient. Obviously, no amount is charged (and it could not be) by the service provider in respect of goods or materials which are supplied by the service recipient. It also makes it clear that valuation of gross amount has a causal connection with the amount that is charged by the service provider as that becomes the element of ‘taxable service’. Thirdly, even when the explanation was added vide notification dated March 01, 2005, it only explained that the gross amount charged shall include the value of goods and materials supplied or provided or used by the provider of construction service. Thus, though it took care of the value of goods and materials supplied by the service provider/assessee by including value of such goods and materials for the purpose of arriving at gross amount charged, it did not deal with any eventuality whereby value of goods and material supplied or provided by the service recipient were also to be included in arriving at gross amount ‘gross amount charged’. “23. A close look at the Finance Act, 1994 would show that the fixed taxable services referred to in the charging Section 65(105) would refer only to service contracts simpliciter and not to composite works contracts. This is clear from the very language of Section 65(105) which defines ‘taxable service’ as ‘any service provided”. It is clear from the above that the service tax is to be levied in respect of ‘taxable services’ and for the purpose of arriving at 33% of the gross amount charged, unless value of some goods/materials is specifically included by the Legislature, that cannot be added. 20. It is to be borne in mind that the notifications in questions are exemption notifications which have been issued under Section 93 of the Act. As per Section 93, the Central Government is empowered to grant exemption from the levy of service tax either wholly or partially, which is leviable on any ‘taxable service’ defined in any of sub-clauses of clause (105) of Section 65. Thus, exemption under Section 93 can only be granted in respect of those activities which the Parliament is competent to levy service tax and covered by sub-clause (zzq) of clause (105) and sub-clause (zzzh) of clause (105) of Section 65 of Chapter V of the Act under which such notifications were issued. 21. For the aforesaid reasons, we find ourselves in agreement with the view taken by the Full Bench of CESTAT in the impugned judgment dated September 6, 2013 and dismiss these appeals of the Revenue. 22. Insofar as Civil Appeal No. 3247 of 2015 is concerned, where the assessee is Gurmehar Construction, it may additionally be noted (as pointed out by the learned counsel for the respondent) that the assessee was a sole proprietorship concern of Mr. Narender Singh Atwal, who died on February 24, 2014. This is so stated in the counter affidavit filed by the respondent on May 16, 2017 and this position has not been disputed by the Department. This appeal, in any case, has abated as well in view of the judgment of this Court in Shabina Abraham v. Collector of Central Excise & Customs  61 taxmann.com 95/52 GST 30. 23. As a result, all appeals stand dismissed. This entry was posted in GST Caselaws, Section 15 and tagged In favour of Assessee, Supreme Court Of India on GST, valuation of taxable service, Year 2018.